..Are these some sort of huntsmans or wandering spider, and are there two of them? I sure hope those aren’t a bunch of dead spiders down in the left, please don’t put spiders up against each other to fight. It’s cruel and unnecessary. Hi. I do see Sparassidae in this, just don’t know which one. The sternum is like a badge huntsman,just black. The spider on the wall behind looks like an Eratigena species, house spider. 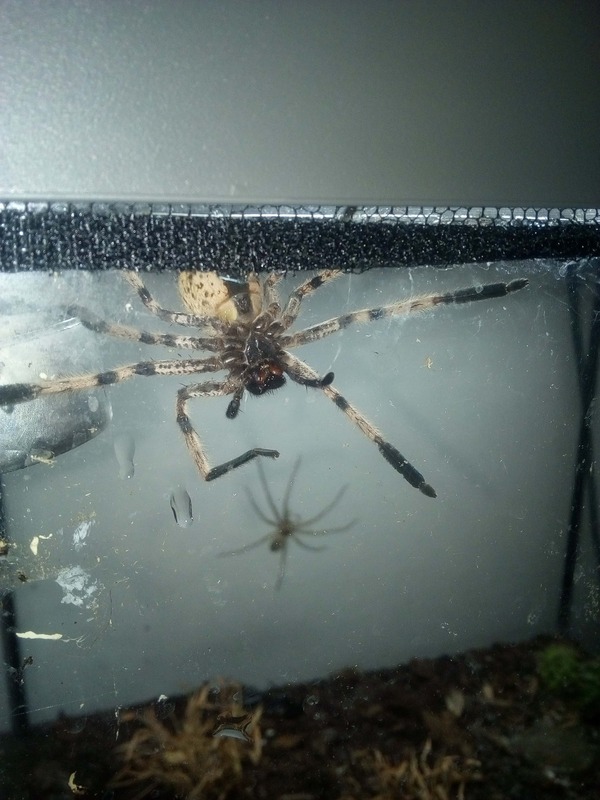 Presuming the spider in the tank would already be known by whoever purchased it, as it’s a huntsman of some kind.